I assume you already have your development environment up and running. However, If you need a good development environment to get into action right away, you should use Homestead Improved. Stranger to Vagrant? Read this. Want to go more in depth? 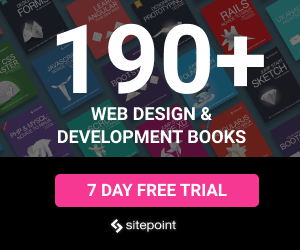 Buy our book on PHP Environments! Feel free to skip this part if you already have a similar application or you have enough experience to build one relatively quickly. Now, let’s create a MySQL database. The settings below apply to the Homestead Improved environment mentioned above. Change as needed. Again, apply to your own preferences as needed. A lyrics website contains information about musicians and their work, and, of course, their songs’ lyrics. To make a bare minimum data structure, we have created only two Eloquent models for this project, namely Artist and Song. The Artist model has a one-to-many relationship with the the Song model. 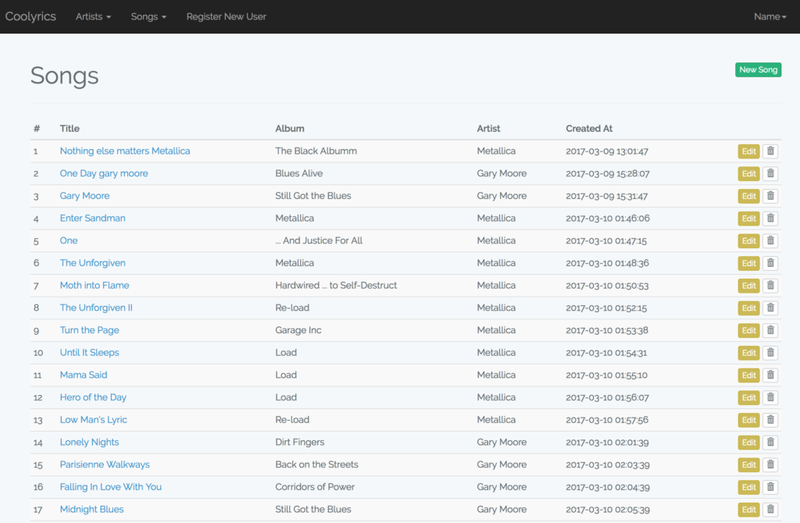 This means each artist can have many songs and each song belongs to an artist in our database. Before moving forward to the next section, you may go ahead and insert a few records into the database, starting with your favorite artists and then adding a few songs for each. You can also import the file by using your favorite MySQL management application, like Sequel Pro, MySQL Workbench or PHPMyAdmin. As a result, a configuration file named scout.php is generated inside the config directory. We’ll edit this file later. As planned, we’ll use Algolia as our search engine API. First, let’s create an account to obtain our application ID. Scout requires Application ID and Admin API Key to operate. After the registration is complete, we can find our credentials under API Keys in the left menu. It’s a good practice to keep the keys in .env and load them into scout.php using the env() or getenv() functions. At this point, we need to create our index on Algolia. Each record in the index is a schema-less JSON object (each one represents a record in our database) with a set of attributes that can be used for searching, displaying, ranking and filtering data. Rather than indexing the whole record, we only need to index the data needed for the above operations. This helps keep our index clean and optimized. Apart from that, the index is not a relational database, meaning when searching through the index, we cannot use complex where clauses or SQL joins. To work around this limitation, we should define a custom structure for our index records. On the other hand, we should join all the needed tables, preparing a customized JSON object before indexing. To do this, we override the toSearchableArray() method in the Song model (this method is added to the class by the Laravel\Scout\Searchable trait). By default, the toSearchableArray() method returns the $this->toArray() output as our index object (when sending the index record to Algolia), whereas we need additional data, like artist’s name, genres and the image URL, which reside in another table – the artists table. Finally, we merge the output of $this->toArray() with our desired attributes, returning the final array. Why do we need to index a randomly generated string like image URL you may be wondering. We’ll get to this shortly. Indexing is not a one-off task. After the initial import, the index needs to be kept in sync with the database. Since we’re using Scout, everything is already taken care of. From now on, any time a record is inserted, updated, or deleted from the database, the respective index record will be affected accordingly – thanks to Laravel’s model observers. To learn more about how Scout manages the indexing process, have a look at the documentation. The next thing to do is to configure our Algolia index for optimal operation. These settings can be modified either from the dashboard or programmatically using Algolia’s API. The most important configuration options are the Searchable attributes and the Custom Ranking Attributes. The Searchable attributes setting defines which record attributes are used for searching. The order of these attributes also matters as those at the top are considered more important and control the ranking. The Custom Ranking Attributes option indicates the popularity of each record which also affects the ranking. They can be anything from the number of likes, views, downloads, to comments. That said, we need to include this information in the index. Algolia comes with plenty of configuration options. Going through each setting is beyond the scope of this tutorial. To learn more about the configuration options, you should have a look at Algolia’s FAQ on configuration and relevance. 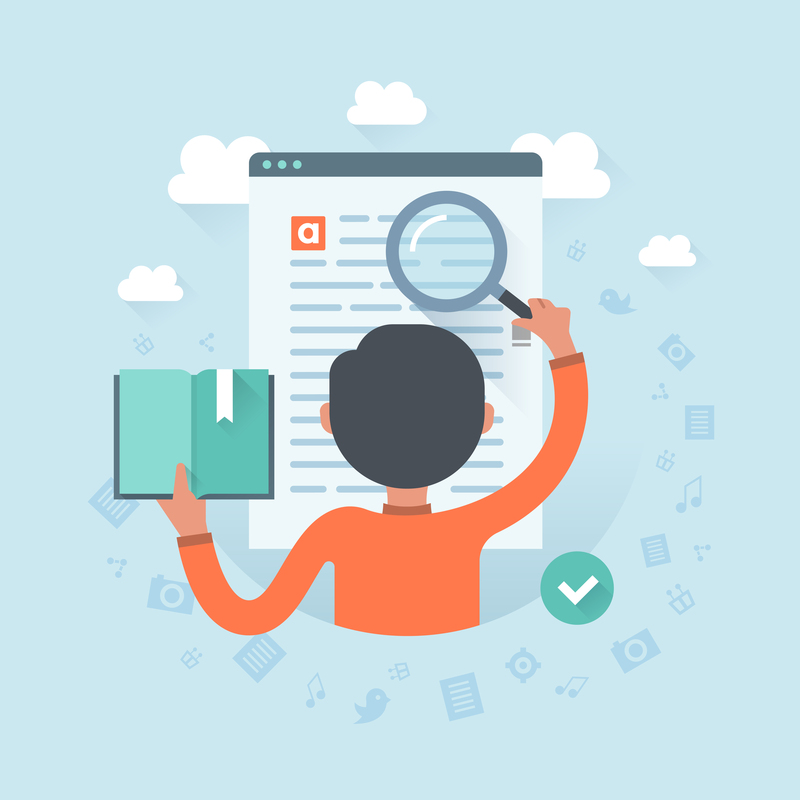 The last thing to do is to implement the search interface within our lyrics website. The good thing about Algolia is that it doesn’t restrict us to any interface implementation. The other way is to directly issue the search requests from the user’s browser to Algolia’s search API, providing a find-as-you-type experience for our users. This method is much faster than the former as there’s no interface involved. This means every attribute we want in our search results should be present in the index itself. In this tutorial, we’ll take the second approach. We use Scout for indexing and keeping our index synced with our database, then we use Algolia’s API to do the searching. By taking the second approach, we will have many options to display the results. We can use AngularJS, Vue.js, or Algolia’s two popular libraries, namely Autocomplete and Instantsearch.js. For this project, we’ll use Instantsearch.js, which is a library of UI widgets based on React that makes creating search interfaces a breeze. Our lyrics website consists of two pages, the main searching page, and a single page to display the details of a song. First, let’s create the routes and the controllers for these two pages. Then we’ll create the views. The song() and search() methods render our website pages. There’s also a CSS file loaded into the page – to make the website a little bit more customized. Please feel free to change the styles if you don’t like the look and feel of it. This page is rendered and controlled in the backend – by Laravel. Now we get to the main part for which we’ve created everything so far, the search interface. To create the search interface, we need to combine several widgets of Instantsearch.js and configure each widget to fit our needs. All the widgets are wired together out of the box and require no extra development on our side. That is to say, whenever a user enters a value into the search box, all the widgets (search box, hits, pagination, etc.) will respond accordingly. In the content section, we have a container with id search-box where we’re going to place our searchBox widget. We also have containers for hits and pagination widgets. In the scripts section, first, we load the master layout’s scripts using the @parent directive. Then, we add the scripts specific to this template, namely jQuery and Instantsearch.js. In the above code, we need to provide three values to instantiate the search object: appId, ApiKey, and indexName. The indexName attribute is the name of the index we want to search through, which is songs in our case. The searchBox widget creates a smart text field to enter the search keyword. As you can see in the above code, we pass a configuration object when instantiating a widget. This object is used to adjust the widget’s behavior. The container is the place where our searchBox widget sits. The placeholder is an ordinary HTML placeholder for the text field. If wrapInput is set to true, the text field itself is wrapped by another <div> element with a class named ais-search-box. Finally, the cssClasses option specifies the additional classes to be added to the widget. In the above settings, we just add a class to the text field itself. We can add classes to the wrapping element as well. To learn about the other available options for searchBox, you should have a look at the documentation. The hits widget displays the search results based on a set of defined templates. Again, we have an object of settings to adjust the widget’s behavior. The templates option defines the templates used for rendering different parts of the hits (results) section. In the above code, we define a template for item, which is rendered for each item in the result set. We also define a template for any time the search has no results. There’s also another template for the hits header section. In this template, we have access to the attributes of each row within the index, like objectID, artist, title, photo, youtube_link, etc. To prevent Blade from rendering mustache directives, we put a @ before each curly brace set, letting Blade know that this expression should be remained untouched and is handled by Instantsearch.js later on. Additionally, Algolia provides an object for each item called _highlightResult. This object contains highlighted text for each attribute based on the search keyword. This is useful to show which part of the results are matched by the searched keyword. Please note that we link each item to its details page. To see all the available options for this widget, you should have a look at the documentation. Now, if we reload the page, we should see an awesome search interface which works right out of the box. No extra coding, no hassle. Feel free to play with the interface. Search for different terms and open the links to see how it looks. You can also make some typos on purpose while searching, to see the response. Algolia’s typo tolerance algorithms will automatically detect what your users are searching for and return the correct results. Alright, I think that does it to get started with Scout and Algolia. You can find the full code on Github in case you want to try it for yourself. To see a working demo of what we built in this tutorial click here. We created our minimal lyrics website with the help of Laravel Scout and Algolia. Please note that this project was just for educational purposes, implemented in the most basic form possible, and hence should not be used in a production environment. Please feel free to modify the code in any way you want. To move even further, you may go to your Algolia profile, and change the settings and see the results. You can also add synonyms for each term, in case you don’t have that term in your database.